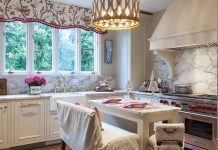 December is a time for holiday entertaining. During Christmas and New Year’s, parties and dinners seem to multiply. 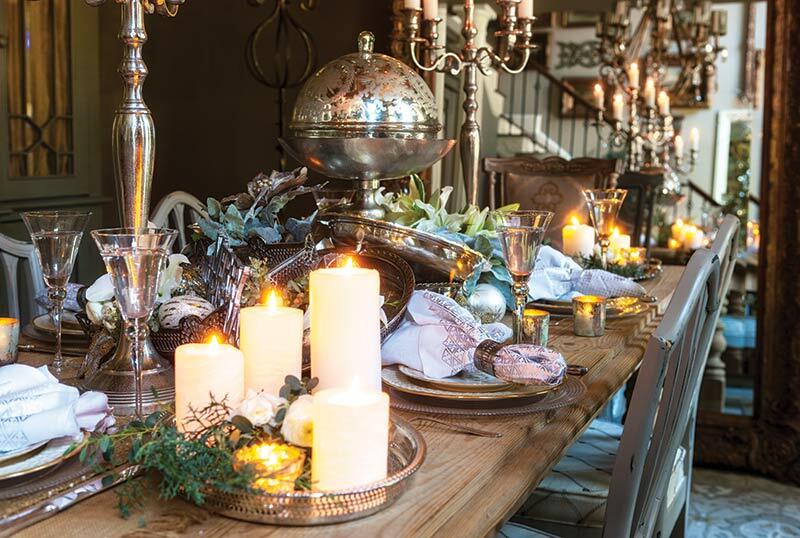 For a beautiful holiday tablescape, bring out the old and the new. 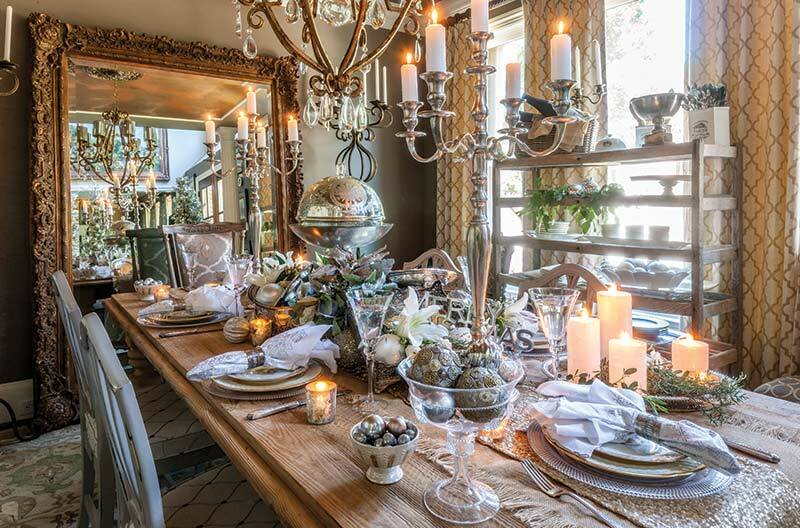 Gather candlesticks of various sizes and metals, both glass and porcelain plates, and add a dash of greenery and candlelight for a little holiday magic. The table’s setting begins with a burlap runner, which is then topped with a gold beaded runner. 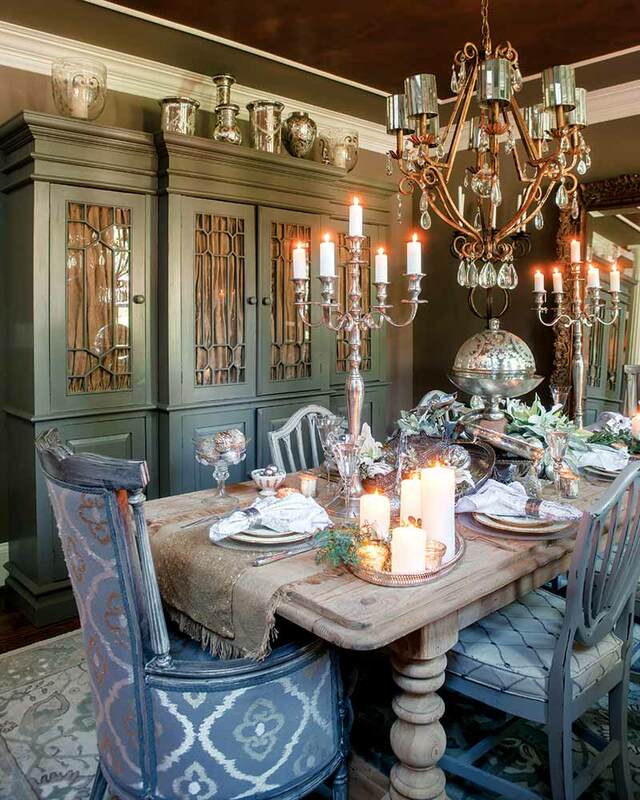 The two contrast in texture and formality adding an element of the unexpected to the table. Patterns of china and accessories are mixed as well. 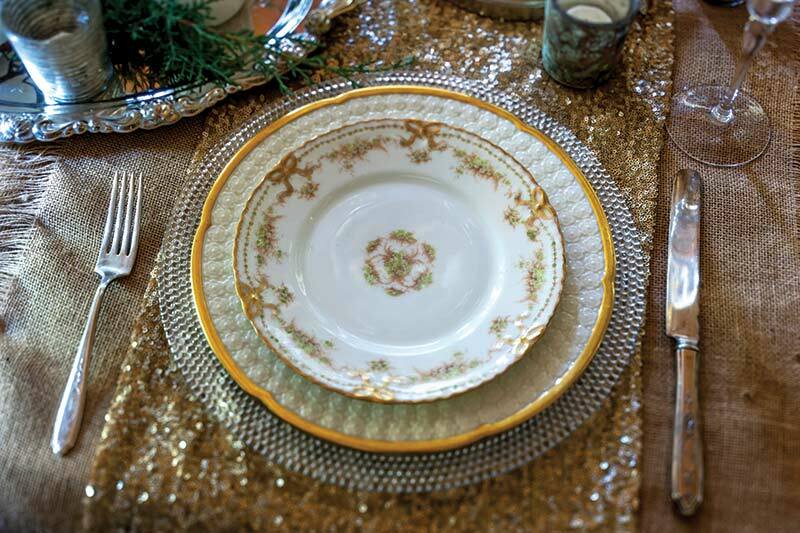 A sentimental favorite dish sits atop a gold-rimmed dinner plate stacked on a glass charger. 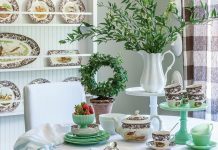 The three plates vary greatly in price and style. One was from a family collection, one was found in an antique shop, and one came from a big box store. 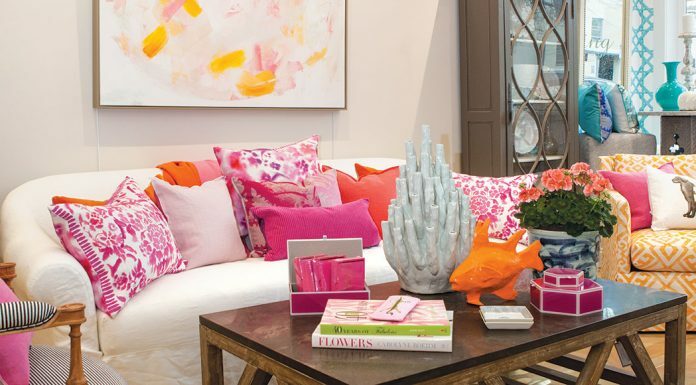 But combined in a single setting, they complement one another to heighten the overall look. 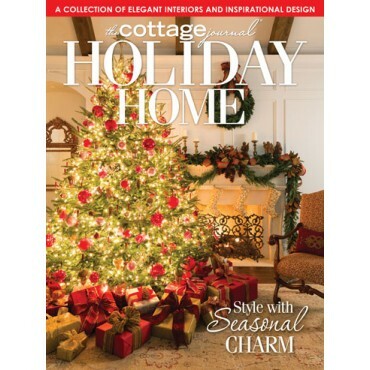 Shop the issue below for more inspiration for your holiday home!